Hamby Home(in)stead ...: Musical chairs! I'm one step - or eight seats - closer to my plan of having an outdoor movie setup at Hamby Home(in)stead! I spotted these seats at the dump shop last week. There were four rows then but only two left today. Obviously she who hesitates is lost - or loses out on movie seats. 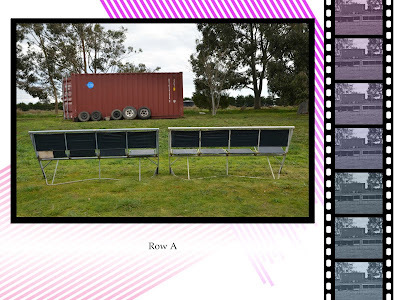 As we already had the trailer in tow (collecting garden fencing), I enquired about the "movie seats". Special price for me - $30 for the two sets. Bargain! These days you'd be lucky to get two tickets to the movies for thirty bucks! 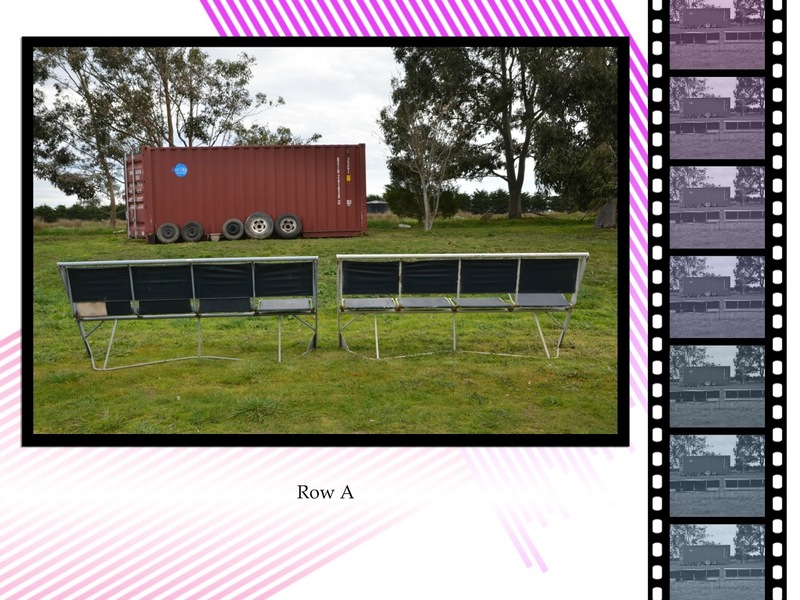 All right - my eight seats aren't perfect but are much more comfortable than they look and will work out very well for my cinema under the stars scheme! While at the dump shop today I also spotted some heavy vinyl banners that I thought might be adapted as a screen for the storage container. My technical adviser wasn't convinced though, citing the fact that I don't yet have a projector for my movies - and that item may well influence the type of screen required. More action required!